Teaching Activity. By Bob Peterson. 7 pages. How a 5th grade teacher and his students conducted research to answer the question: “Which presidents owned people?” Available in Spanish. A romanticized image of work at Mt. Vernon. Source: Library of Congress. She had me stumped. “That’s a good question,” I said. “I don’t know.” Thus began a combined social studies, math, and language arts project in which I learned along with my students, and that culminated in a fascinating exchange between my students and the publishers of their U.S. history textbook. After I admitted that I had no clue exactly which presidents owned slaves, I threw the challenge back to the students. “How can we find out?” I asked. 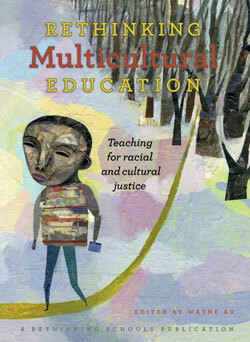 Originally published in Rethinking Multicultural Education: Teaching for Racial and Cultural Justice. Check out Rethinking Multicultural Education for more articles and lessons that move beyond a simplistic focus on heroes and holidays to demonstrate a powerful vision of anti-racist, social justice education. Book – Non-fiction. By Clarence Lusane. 2010. Article. By Clarence Lusane. 2014. If We Knew Our History Series. Textbooks erase enslaved African Americans from the White House and the presidency and present a false portrait of our country’s history. 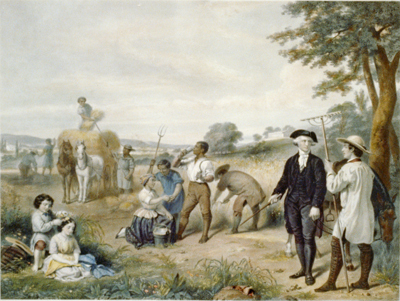 At the time of George Washington’s death, the Washingtons enslaved 318 people of African descent at Mount Vernon, according to the Mount Vernon Ladies’ Association. But you would not know it from the main tour, nor from the brochure. 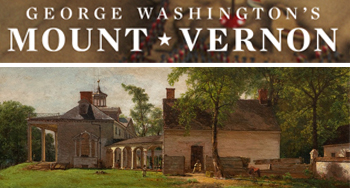 In fact, most visitors, including schoolchildren, can spend hours admiring the Mount Vernon mansion, fine furniture, and manicured lawns without considering that it was all paid for with forced labor. Bush had something more powerful than slaves; something no period of captivity no matter how brutal ever produ?ced in slaves…sheep with a vote. I have a picture I took at the Smithsonian that I use in class. The display had a smaller version of the Jefferson statue with names on a wall as the background. I ask my students who they think the names represent,? They guess friends, family and people he worked with. This year was the first time one student guessed slaves. They had noticed repeating names such as Hannah, with no last names. Behind him are the names of the people Jefferson owned. I suggest to my students, we think we know these famous people, but do we really? We research to write essays and 6-word memoirs to address the full story. This lesson truly engaged my students. As a concluding assignment, I had students produce an episode of Maury. It may seem like a crazy idea, but, all of my students were familiar with the paternity tests that are frequently shown on the show, and there were obvious ways to connect it to the topic of this lesson. Students conducted research and based their characters, as well as the results of the paternity tests, on research. There were definitely some comedic moments, but the students gained a lot. The website, understanding prejudice.org invites visitors to guess which, if any of the first 16 presidents owned slaves and the numbers they owned. The data is plotted on a bar graph then compared to the actual numbers. A powerful learning tool. Excellent exchange with your students. These are very difficult issues for 5th graders to understand. But we have to make sure that they are not shielded from historical reality.